Casa Grande, Arizona to/from Phoenix Sky Harbor International Airport (PHX). Great Flat Rates! More often than not, our town car flat rate fares to and from Casa Grande and the Phoenix Airport (PHX) are less than taxis charge for the same service. So, why travel in a taxi when you can travel to the airport in style and comfort in any one of our luxury vehicles. >> VIEW OUR RATES. A Luxurious Vehicle Fleet. Whether you are a single executive, traveling couple or a large group, Roadrunner has the right vehicle for you. Depending on the amount of passengers, Roadrunner Limousine’s fleet includes town cars, limousines, SUV’s, passenger vans and even 30+ passenger coaches. All our vehicles are clean, comfortable, private late model luxury vehicles equipped with GPS Navigation systems. So, why take a bumpy taxi from Casa Grande to PHX when a luxury vehicle is available at Roadrunner Limousine? 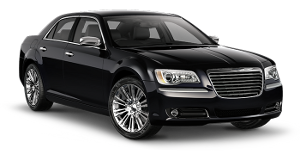 Roadrunner Limousine, serving Casa Grande and Phoenix, Arizona, provides exceptional service for its executive clients. Our executive guests expect reliable, convenient and comfortable transportation to or from Casa Grande and the Phoenix Sky Harbor International Airport. As important as it is to provide our executive passenger with optimum service, working effectively with their executive assistants and travel coordinators makes everyone’s job easier. For them, we have a state-of-the-art online booking and account monitoring system accompanied by a highly trained staff to help develop and execute the most sophisticated travel plans that any busy executive or corporate group might need. First Time Coming to Casa Grande, Arizona – Did You Know? Casa Grande (Spanish for Big House) is city in Pinal County, approximately halfway between Phoenix and Tucson in the U.S. state of Arizona. According to 2010 Census, the population of the city is 48,571. It is named after the Casa Grande Ruins National Monument, which is actually located in Coolidge. Casa Grande was founded in 1879 during the Arizona mining boom and became Incorporated in 1915. It was named after the Hohokam ruins at the nearby Casa Grande Ruins National Monument. A major railroad terminated in Casa Grande, which was originally named “Terminus”. Casa Grande is home to Francisco Grande Hotel & Golf Resort, former spring training location for the San Francisco Giants. Then owner, Horace Stoneham, began developing the property in 1959. The first exhibition game was played in Casa Grande in 1961, with Willie Mays hitting a 375-foot (114 m) home run. The San Francisco Giants no longer play at Francisco Grande, but the pool remains in a baseball bat and ball shape in memory of the past ballgames. An outlet mall operates in southern Casa Grande. Phase one of The Promenade at Casa Grande opened on November 16, 2007. Built by Westcor and the Pederson Group, it is similar to Desert Ridge Marketplace (an outdoor shopping center in northeast Phoenix). The Promenade at Casa Grande is an open-air outdoor mall, built on a 100-acre (0.40 km2) patch of desert, and contains nearly a million square feet. An additional $11 million dollars was spent by the city to fund the reconstruction of the Florence Blvd./I-10 freeway overpass.